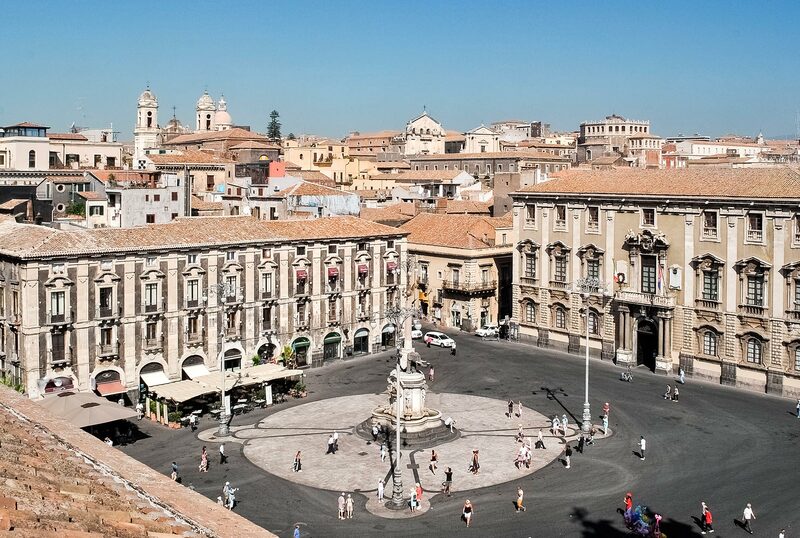 At the heart of Catania sits Piazza Duomo Catania. This piazza is features a beautiful mix of lava and limestone. It is surrounded by baroque style buildings and is highlighted by Cattedrale di Sant’Agata. 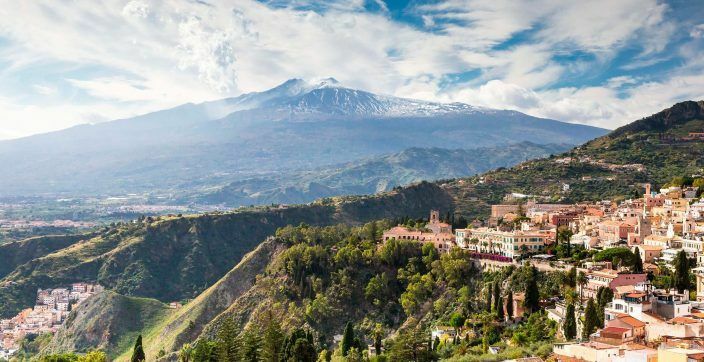 This eastern coast of Sicily sits at the foot of the largest volcano in Europe, has a significant amount of baroque architecture, and has become a site of UNESCO Heritage. 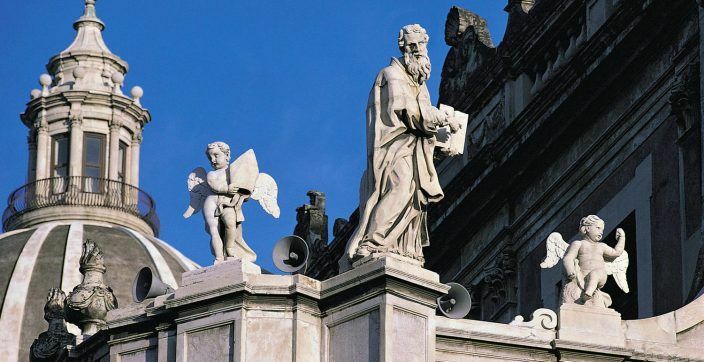 A city where the historical heritage is still strong with the most famous testimonials of baroque architecture.